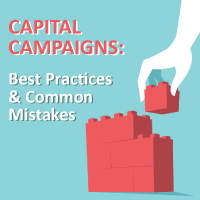 In this educational session, discover how capital campaigns can have a huge impact on your organization. If successful, they can infuse fresh energy into your agency, enhance capacity, and increase efficiency. You don’t want to miss this engaging and informative session led by Brent A. Hafele, M.A. from Dickerson, Bakker & Associates.